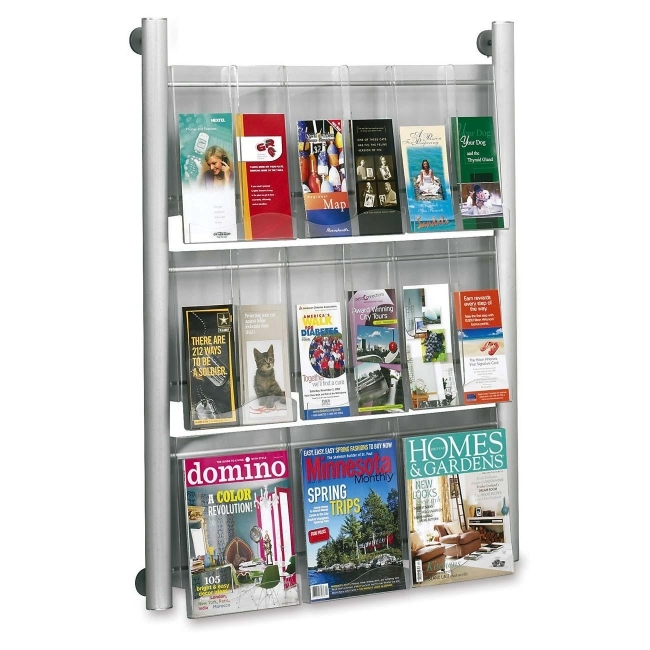 Luxe Magazine Rack offers nine pockets to store and display magazines and pamphlets. Design features a silver-coated, brushed aluminum sleek frame and clear acrylic pockets. Each pocket is 1" deep. Center pocket dividers allow the pockets to be sized for magazines or pamphlets so you can have up to 18 pamphlet slots. Wall mountable magazine rack includes mounting hardware.